Exemple : Chaine Hifi, Autoradio, Ordinateur, Télévision, Arduino, Raspberry, Lecteur DVD etc. Profil audio audio stéréo Bluetooth: A2DP. Bluetooth: v3.0 EDR, classe 2. - Un récepteur Bluetooth. 3- Allez dans les paramètres bluetooth de votre smartphone ou autre et effectuez une recherche bluetooth. Connectez vous ensuite à "bluetooth Music". 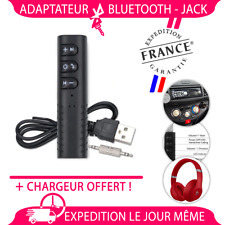 RECEPTEUR BLUETOOTH AUDIO JACK. • Bluetooth V3.0 EDR. Latitude E6230. Latitude E6330. Latitude E6430. Latitude E5510. The Dell Wireless 380 Bluetooth Module adds the enhanced performance of Bluetooth LE (Low Energy) 4.0 technology, featuring low power wireless connectivity, improved security and greater ease in pairing devices while remaining 100% compatible with Bluetooth 1.1, 2.0, 2.1 and 3.0 standards. 3- Allez dans les paramètres bluetooth de votre smartphone ou autre et effectuez une recherche bluetooth. Connectez vous ensuite à "bluetooth Music". • Bluetooth V3.0 EDR. Bluetooth v3 EDR, classe 2. 1× Mini Bluetooth CSR 4.0 USB Dongle. Bluetooth V4.0. Bluetooth specification V 4.0. Supports all Windows systems, including Windows, xp, vista, win7 win 8, etc. USB 4.0 specification, backward compatible. LN-BT02 stereo Smart Bluetooth receiver board Bluetooth stereo dual speakers, pairing with a Bluetooth phone or computer, can wirelessly listen to music, but also as a wireless phone hands-free calling. Supported operating volume up/down and play / pause. Bluetooth devices after successful connection, when again open the Bluetooth will automatically connect . Product design parts layout, smart stereo Bluetooth receiver. Bluetooth core using high quality chips, built-in enhanced signal transmission circuit. Bluetooth receiver stable, built ANC echo cancellation and AEC noise cancellation circuit. Handsfree no echo and noise. Technical Reference: Bluetooth specification: Bluetooth V4.0 EDR Transmission power: CLASS2 Bluetooth protocol: HFP V1.5 A2DP (1. Clé BlueTooth Dongle Adaptateur USB pour ordinateurs pour une connexion sans fil vers différents périphériques. Pour les petits colis l'envoi est sans suivi. Si vous souhaitez un suivi, optez pour cette option. A collection of Bluetooth receiver Bluetooth transmitter combo, product performance and stability, distance, a wide range of use. This product is a 2-in-1 USB Bluetooth device that combines reception and transmission. Replug and switch mode, Blue light is the receiving mode, Red light is the transmitter mode. Transmitter mode: red LED light is on. 1 x USB Bluetooth Audio Transmitter/Receiver Adapter. Receiver mode: wirelessly streams audio from your Bluetooth-enabled phone, tablet, or computer to your wired stereo, speakers, or headphones. Part Number: 0M960G AND P5560G. E5400 E5500 E6400 E6500 M2400 M6400. Backward compliant with Bluetooth 2.0, 1.2 and 1.1 ensures compatibility with older Bluetooth devices. 1 x 370 Dell Bluetooth. This is our SOP, for us to be certain and for record purposes. Loop design allows dongle to be easily attached to a lanyard. This is a real bonus for all your Flickr fans out there! This is especially useful because it allows you the freedom to customize your workspace and unchain your computer from your printer. • Bluetooth low energy Radio USB Dongle. This mini USB Bluetooth 4.0 adapter with high speed, simple pairing, good anti-jamming features, it's a simple solution to enable your computer connect with smartphone, tablet or other Bluetooth device. USB to 3.5 mm Dongle / Adapter Bluetooth Music Receiver ( Plug via USB in PC / Laptop / Music System & Play Songs Via your Phone Bluetooth) BT Adapter for PC Car Laptop Music System. It Enables Bluetooth in your USB Music System. Portable Design: Mini size with clip design the feature of portable can let you carry them to anywhere you want. Type: Bluetooth Audio Receiver. 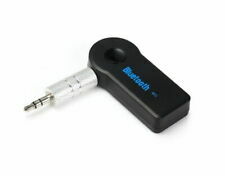 1 Bluetooth audio receiver(BLACK). Profile: A2DP. 1 3.5mm to 3.5mm adapter. 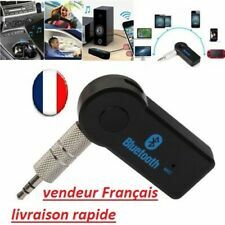 Bluetooth: compatibile standard V 2.0 e V 1.2. Interfaccia : Usb 1.1 o 2.0. Corriere Espresso SDA /GLS / NEXIVE. 2 - 7 gg lavorativi sì. 2 - 15 gg lavorativi sì. Dell Part #: 3YX8R. Latitude E6430. Latitude E6430 ATG. Latitude E5420. Latitude E5520. The Dell Wireless 380 Bluetooth Module adds the enhanced performance of Bluetooth LE (Low Energy) 4.0 technology, featuring low power wireless connectivity, improved security and greater ease in pairing devices while remaining 100% compatible with Bluetooth 1.1, 2.0, 2.1 and 3.0 standards. Bluetooth Music Receiver Adapter for iPod/iPhone Docking Speaker. 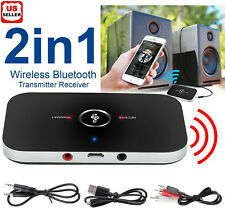 Bluetooth stereo mucic receiver and transmit music to speaker. Type: Bluetooth Music Receiver Adapter. 1 x Bluetooth Music Receiver Adapter for iPod/iPhone Docking Speaker. Connect the Bluetooth transmitter to your TV and just enjoy the shows at late night without disturbing disturbing others and ensuring privacy. 1 x Bluetooth Transmitter. Connect to audio output devices such as TV, iPod, CD player, PC, MP3/MP4, and transmit audio to your Bluetooth stereo, headsets, headphones and speakers. Plugable USB Bluetooth 4.0 Low Energy Micro Adapter (Windows 10, 8.1, 8, 7, Raspberry Pi, Linux Compatible; Classic Bluetooth, and Stereo Headset Compatible). Designed for maximum compatibility, small size, and low power, this Plugable adapter upgrades Windows and Linux PCs with the latest Bluetooth 4.0 support. USA Seller➤BIGGER BATTERY➤Low Price➤Fast Free Shipping! When plugged in the micro dongle quickly installs itself and you have blue tooth capability, it's as simple as that. The best way to add Bluetooth to your PC or Laptop is here, this dongle is a plug and play device used to add Bluetooth capability to your computer. PAIRING: Open the Bluetooth feature of your phone -> search for "Bluetooth". POWER: Plug your Bluetooth audio receiver into a USB port. The power indicator will light up. 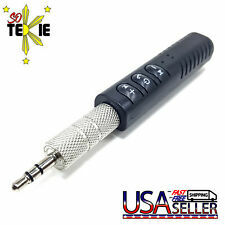 AUDIO: The supplied AUX line is connected to the Bluetooth audio receiver, and the other end is connected to AUX input. USA Seller➤ Built-in Battery ➤ 8 Hours! ➤Free Shipping! Bluetooth Geräte wie Maus, Tastatur, Kopfhörer, Headset und Smartphone können über den Dongle verbunden und verwendet werden. Mini Bluetooth 4.0 USB Dongle Bluetooth 4.0 USB Dongle zum Nachrüsten von Bluetooth an PCs, Notebooks und Netbooks. KCX BT002 Bluetooth Audio Speaker Receiver Module Wireless Stereo Circuit Board. Condition is New. Dispatched with Royal Mail 1st Class Large Letter. 1 x Bluetooth Adapter Dongle CSR 4.0. 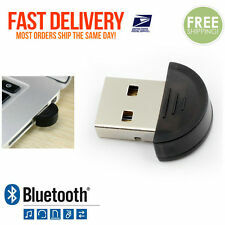 This mini USB Bluetooth 4.0 adapter with high speed, simple pairing, good anti-jamming features, it's a simple solution to enable your computer connect with smartphone, tablet or other Bluetooth device. Set Bluetooth receiver Bluetooth transmitter combo, the product performance is stable, the distance, the use of a wide range. Bluetooth specification: Bluetooth 4.2. It is more convenient to send TV, CD player, MP3 or other sources to the Bluetooth speaker or Bluetooth headset through the product Bluetooth launch mode. Clé USB Adaptateur Bluetooth Dongle Mini V2.0. Bluetooth V2.0 Class 1. Débit Maxi 3 Mb/s. 2 in 1 Bluetooth Transmitter & Receiver, as a Bluetooth Audio Transmitter, B6 is specially designed for the Audio Devices (such as MP3, MP4, TV and PC, etc.) without Bluetooth function. With this product, you can greatly enjoy music from your phone, laptop, tablet without the hassle of cables. 1x Bluetooth Transmitter & Receiver. One device to use as either TRANSMITTER or RECEIVER. Connect your Bluetooth Handset to NON- Bluetooth TV. Keep your old HiFi or stereo alive with new BLUETOOTH WIRELESS CONNECTION, pair with smartphone or tablet and enjoy your favorite music cable-free. Transform any audio device with a 3.5mm input into a Bluetooth receiver with this compact yet powerful hands-free receiver. Ideal for transforming headphones, amplifiers or car audio systems into Bluetooth receivers. SuperTooth, pioneer of the user-friendly, Bluetooth speaker phone concept for car sun visors, is introducing the Buddy! Phones using previous Bluetooth specifications can also be connected - all you have to do is initiate the standard pairing process. Small, lightweight and durable. High performance Bluetooth 4.0 with A2DP for enhanced audio quality. 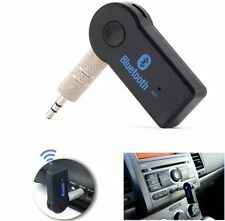 Multi-function technique, One Bluetooth receiver can connect with 2 Bluetooth devices. Easy pairing with Bluetooth stereo headset, headphones, speakers and other Bluetooth stereo audio enabled system with Standard 3.5mm audio socket and cable. Uscita Jack per cuffie o amplificatore. Ricevitore Bluetooth 4.0. Uscita RCA per amplficatore. PER QUALSIASI PROBLEMA CONTATTATEMI! Punti salienti. Works with the speaker which has 3.5mm line-in jack and play music from all devices enabled with A2DP stereo Bluetooth, such as iPad, iPod touch, iPhone, Samsung Galaxy S3/S4/Note2, other Bluetooth cell phones, Bluetooth notebook, etc. 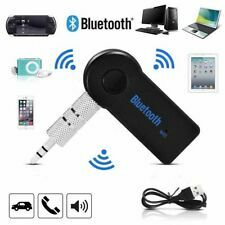 BLUETOOTH TRANSMITTER RECEIVER: Powered by the latest Bluetooth 4.1, a single adapter to use as either transmitter or receiver.Transmitter Mode (TX) to transforms any device (e.g. TV, computer, MP3 player, PSP) into a Bluetooth-capable music streaming solution.Receiver Mode (RX) to turns any ordinary speaker system into Bluetooth-enabled music streaming solution with no additional drivers required.DIGITAL OPTICAL TOSLINK AND 3.5mm AUDIO CONNECTIVITY: The bluetooth transmitter receiver offers both 3.5mm (AUX and RCA) and digital optical toslink input/output.aptX LOW LATENCY FOR MINIMUM AUDIO DELAY: Supports the aptX and aptX Low Latency digital audio codecs for high-fidelity, low latency audio with aptX-enabled headphones.Color: BlackMaterial: ABSDUAL STREAMIN. Easy to set up. No more wires! 1 x Wireless Bluetooth USB Dongle. 3.5mm male and female busbars, perfectly connected to the microphone. A cable clamp that holds the microphone on your clothes. When you plug in the USB slot, the USB adapter will connect to any wireless audio device. Hidden Inside USB 2.0 Bluetooth Wireless to PCMCIA PC Card CardBus Adapter. Compliant with PCMCIA 32bit CardBus specification. 1 x Hidden Inside USB 2.0 Bluetooth Wireless to PCMCIA PC Card CardBus Adapter. LOW DELAY: aptX Low Latency for High-fidelity Stereo Sound, lag-free content streaming in transmitter mode. 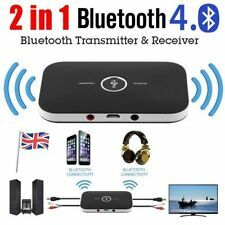 Low Latency supported Bluetooth receiver is required.MAKE IT TWO: Upgraded 2-in-1 Bluetooth V4.1 transmitter can be paired with two Bluetooth receivers (like headphones speakers) simultaneously. Note: aptX Low Latency does NOT support Dual Link mode.ALWAYS ON: Bluetooth 4.1 2-in-1 Adapter continuously streams even while charging. BLUETOOTH EVERYWHERE: In Transmitter mode, turn a non-Bluetooth TV, PC, CD player, iPod, MP3 / MP4 into Bluetooth transmitter. Receiver mode: Perfect for home or vehicle music streaming sound system.color:blackMaterial:ABSInfinite Compatibility Streaming wirelessly your favorite movies, songs, games, and late TV shows is as s.
A Pre Used Black Dock Insert For a Bose Series 1 SoundDock Type A and B. This is one of only a few available on the market that will work with the Bose SoundDock Series 1 Type A unit also known as V1.